Daryl Johnson (Worcester Park, United Kingdom) on 15 November 2016 in Transportation. 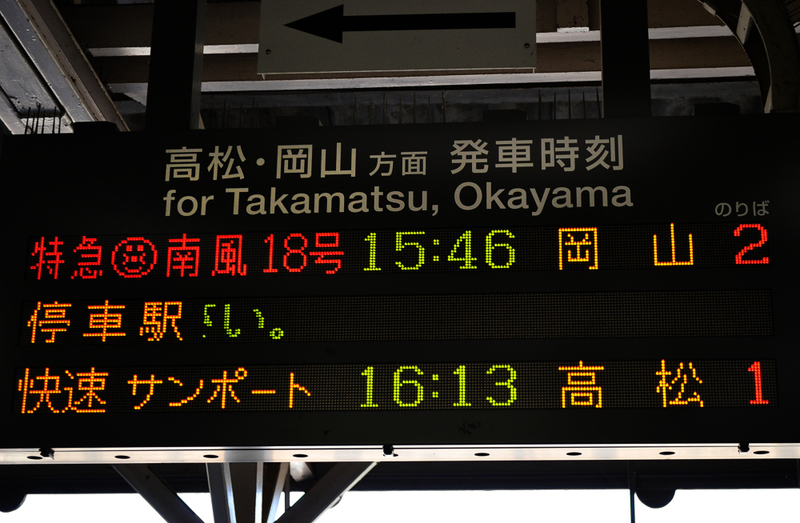 The notice board for the arrival of the Anpanman train - they put a little Anpanman face on the announcement, a cute little detail I thought. A very clever detail indeed. @Steve Rice: Cute hey Steve? Great capture of the notice board !